This class investigates the relationships between water and the land. Using observations, tools, and data, students will explore our local and regional watershed. They will discuss natural and man-driven challenges in these geological areas and build connections to the organisms that rely on them. The students will discuss and investigate the rocks in our watershed. The students will discuss what a watershed is and participate in hands-on activities about them. The students will explain ways water shapes the landscape and affects the rock cycle. Students will experience the beauty of our forest as they get to know its flora and a special focus on our majestic redwood trees. The goal is to investigate the inner workings of a forest ecosystem and draw connections between individual plants and their place in the redwood forest. The students will explore the redwood ecosystem through activities and lessons. The students will note the characteristics of and identify plants in a redwood forest. The students will participate in discussions about the unique attributes of redwood trees. This powerful class explores the relationships between organisms and their environment. The students build arguments based on evidence as they discover links in food webs, unique environmental adaptations, and the cycle of energy in an ecosystem. The students will discuss the characteristics and adaptations of reptiles and amphibians. The students will compare different species of reptiles and amphibians to each other. The students will explore the unique habitat of the reptiles and amphibians in our ecosystem. The students will participate in discussions about the different animals in the forest. The students will explore producer-consumer-decomposer relationships through games and conversations. The students will participate in a discussion/activity about photosynthesis. The students will explore Alliance Redwoods as a habitat and make observations about what they find. In this course students will get to explore the cycles of a forest ecosystem; including plant life cycle, plant anatomy and succession. All the while, discovering what role available resources and species diversity has to play in those cycles. The students will explore and find examples of each stage of the tree lifecycle. The students will discuss the meaning of diversity in a forest and apply discussion to our forest. The students will discuss and experience through activities how forests change over time. The students will define what resources must be present to sustain a healthy forest. Initiatives is a class that seeks to develop teamwork through various challenges presented to the group by the facilitator. The group must use problem-solving skills to complete each challenge while learning to think outside the box, communicate, and trust one another. The students will describe what skills are needed for teamwork and living in a community. The students will analyze through activities and discussion how cooperation, observation, communication, etc. will assist in real life situations. The students will investigate how to make decisions as a collective group and aspects of good leadership. The students will work collaboratively towards a common goal. These classes are designed for the Arrival Day. 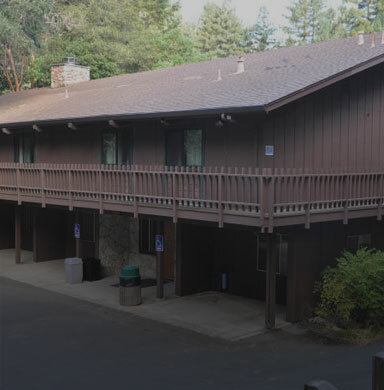 The length of time allotted for each class is dependent upon the time the school arrives at Alliance Redwoods. Rotations Rotations is a collection of fun and interactive games facilitated by our Naturalists allowing the students to play and use up energy after riding the bus all day. Adaptation Transformation The purpose of this activity is to teach the kids to think of adaptations in terms of their function and to strengthen cabin relationships, encourage creativity, and teamwork. Orienteering The purpose of this activity is to teach students how to identify parts of a compass, use a compass to find north, south, east and west and use the compass to navigate an orienteering course. These classes are designed for the Departure Day. The length of time allotted for each class is dependent upon departure needs and time taken to pack up to leave. Armstrong Woods Description: Located 10 miles from Alliance Redwoods, Armstrong Woods has become a popular site for people to walk among some of the tallest and oldest redwoods in this part of California. The students will explore the ecosystem of this old growth redwood grove and learn various aspects of redwood ecology, the difference between Armstrong Woods and Alliance Redwoods, and visit Col. Armstrong and Parson Jones, the two oldest and tallest trees in Armstrong Woods. Objective: The students will explore the natural redwood grove at Armstrong Woods. The students will explore and discuss basic redwood ecology. The students will explore differences between Armstrong Woods and Alliance Redwoods. Goat Rock Description: Near the mouth of the Russian River, Goat Rock is one of the most popular beaches in Sonoma County. For this field trip, students will have an opportunity to explore the beach in search of different birds (Pelicans, Sand Pipers, Gulls, etc.) and marine mammals (Seals, Sea Lions, etc.) while learning about beach formation, tides, and the relationship between the Russian River and Pacific Ocean. Objective: The students will explore the beach for marine animals. The students will explore the beach for other signs of life and interesting objects. The students will make scientific observations of the creatures and objects they discover. Salmon Creek Description: Salmon Creek is a large sandy beach that provides students with an opportunity to have fun playing games on the beach while learning about beach formation, tides, and the relationship between freshwater and saltwater. Tide pooling Description: Tide pooling is the act of exploring rocky pools that are exposed only during low tide. During this field trip, the students will be led to a popular tide pooling location where they will search the rocky habitat for crabs, jellies, sea stars, sea anemones, and other signs of life. Objective: The students will explore the unique tidal ecosystem. The students will actively participate in a discussion activity about tides. The students will identify the creatures they discover living in the tide pools. Stewardship Rotations Description: Stewardship is the concept of responsible planning and management of resources in a way that is sustainable for future generations. In this class, students will learn about environmental stewardship and simple ways they can care for and protect the world around them (i.e. “The Three R’s”: Reduce, Reuse, Recycle). The students will identify basic principles of environmental stewardship through fun and interactive games. Regular Rotations Description: Regular Rotations is a collection of fun and interactive games facilitated by our Naturalists allowing the students to play and use up energy. Objective: The students will use up their energy before the bus ride home and have one last hurrah with their fellow classmates. 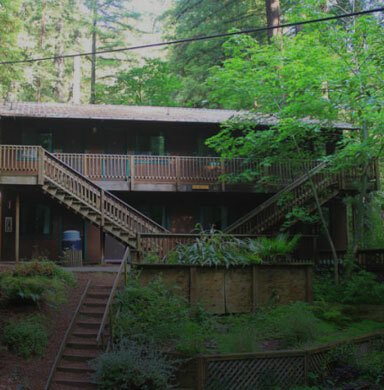 Cabins Cabins Cabins feature accommodations are one of the most economical ways to stay at Alliance Redwoods. LodgesLodgesOur lodge rooms are nicely furnished and carpeted. Bathrooms and showers are indoors and all the rooms have bunk beds. 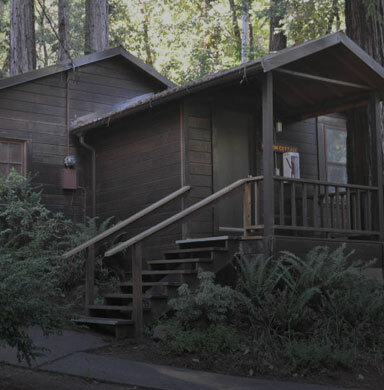 CottagesCottagesCottages afford you all the comforts of home as you relax under the redwoods. Arrival and Departure Activities Listed below are the standards we strive to address with our hands-on and active curriculum in an effort to assist our Teachers before and after their visit to Alliance Redwoods. Earth’s Systems – Grade 5–ESS3–1. Obtain and combine information about ways individual communities use science ideas to protect the Earth’s resources and environment. Middle School-LS2-2. Construct an explanation that predicts patterns of interactions among organisms across multiple ecosystems. Middle School-LS2-2. Construct an exploration that predicts patterns of interactions among organisms across multiple ecosystems. Writing Standards K-5 – Grade 5-W.5.7. Conduct short research projects that use several sources to build knowledge through investigation of different aspects of a topic. Interdependent Relationships in Ecosystems – Middle School-LS2-2. Construct an explanation that predicts patterns of interactions among organisms across multiple ecosystems. Middle School-ESS2-4. Develop a model to describe the cycling of water through Earth’s systems driven by energy from the sun and the force of gravity. Matter and Energy in Organisms and Ecosystems – LS2.A. Interdependent relationships and ecosystems. Natural Selection and Adaptations – LS 4.D. Biodiversity and humans. Middle School-ESS3-4. Construct an argument supported by evidence for how increases in human population and per capita consumption of natural resources impact Earth system. Matter and Energy in Organisms and Ecosystems – Middle School-LS2-3. Develop a model to describe the cycling of matter and full of energy among living in nonliving parts of the ecosystem. Scientific knowledge assumes an order and consistency in natural systems. Science assumes that objects and events in natural systems occur in consistent patterns that are understandable through measurement and Outdoor Education Curriculum Summary 6 Revised 1/15/2013 observation. Interdependent Relationships in Ecosystems – Middle School-LS2-2. Construct an exploration that predicts patterns of interactions among organisms across multiple ecosystems. Earth’s Systems – Grade 5-ESS3.C. Human impacts on Earth systems. Structure and Properties of Matter – Grade 5-PS1-3. Make observations and measurements to identify materials based on their properties. Structure, Function, and Information Processing – Grade 5-LS1-1. Support an argument that plants get the materials they need for growth chiefly from air and water. Middle School-ESS3-4. Construct an argument supported by evidence for how increases in human population and per-capita consumption of natural resources impact Earth’s systems. Middle School-LS2-4. Construct an argument supported by empirical evidence that changes to physical or biological components of an ecosystem affect populations. Middle School-LS1-5. Construct a scientific explanation based on evidence for how environmental and genetic factors influence the growth of organisms. Matter and Energy in Organisms and Ecosystems – Grade 5–PS3–1. Use models to describe that energy and animals food (use for body repair, growth, motion, and to maintain body warmth) was once energy from the sun. – Grade 5–LS2–1. Develop a model to describe the movement of matter among plants, animals, decomposers, and the environment. Middle School-LS2-1. Analyze and interpret data to provide evidence for the effects of resource availability in organisms and populations of organisms in an ecosystem. – MS-LS2-3. Developed a model to describe the cycling of matter and flow of energy among living in nonliving parts of an ecosystem. Chemical Reactions – Middle School–PS1–5. Develop and use a model to describe how the total number of atom does not change in a chemical reaction and thus mass is conserved. Middle School-LS4-4: Construct an explanation based on evidence that describes how genetic variations of traits in population increase some individual’s probability of surviving and reproducing in a specific environment. Structure and Properties of Matter – Grade 5-PS1-1. Develop a model to describe that matter is made of particles two small to be seen.
. – Middle School-ESS2-4. Develop a model to describe the cycling of water through Earth system driven by energy from the sun and the force of gravity. Middle School-LS2-4 Construct an argument supported by empirical evidence that changes to physical or biological components of an ecosystem affect populations. Mathematics – Grade 5-MP.2. Reason abstractly and quantitatively. Structures and Properties of Matter – Grade 5-PS1-3. Make observations and measurements to identify materials based on their properties. Middle School-ESS2-1. Develop a model to describe the cycling of Earth materials and the flow of energy that derives this process. Middle School-LS2-5. Evaluate competing design solutions for maintaining biodiversity and ecosystem services. Grade 6-SL-4. Present claims and findings, sequencing ideas logically and using pertinent descriptions, facts, and details and nonverbal elements to accentuate main ideas or themes; use appropriate eye contact, adequate volume, and clear pronunciation. Growth, Development, and Reproduction of Organisms – Middle School-LS1-4. Use argument based on empirical and scientific reasoning to support an explanation for how characteristic animal behaviors and specialized plant structure affect the probability of successful reproduction of animals and plants respectively. Natural Selection and Adaptations – Middle School-LS4-4. Construct an explanation based on evidence that describes how genetic variations of traits in a population increase some individuals’ probability of surviving and reproducing in a specific environment. Structure, Function, and Information Processing – Middle School-LS1-3. Use argument supported by evidence for how the body is a system of interacting subsystems composed of groups of cells. – Middle School-LS1-8. Gather and synthesize information that sensory receptors respond to stimuli by sending messages to the brain for immediate behavior or storage as memories. Reading Standards for Literacy in Science and Technical Subjects – Middle School-RST-3. Follow precisely a multistep procedure when carrying out experiments, taking measurements, or performing technical tasks. Structure, Function, and Information Processing – Middle School-LS1-8. Gather and synthesize information that sensory receptors respond to stimuli by sending messages to the brain for immediate behavior or storage as memories. Speaking and Listening Standards – Grade 4-SL-4. Report on a topic or text, tell a story, or recount an experience in an organized manner, using appropriate facts and relevant, descriptive details to support main ideas or themes; speak clearly at an understandable pace. Grade 5-SL-4. Report on a topic or text or present an opinion, sequencing ideas logically and using appropriate facts and relevant, descriptive details to support main ideas or themes; speak clearly at an understandable pace. – Grade 6-SL-4. Present claims and findings, sequencing ideas logically and using pertinent descriptions, facts, and details and nonverbal elements to accentuate main ideas or themes; use appropriate eye contact, adequate volume, and clear pronunciation. The Common Core and Next Generation Standards listed here are those that are, or can be,covered in many of our classes. – Grade 5-SL-4. Report on a topic or text or present an opinion, sequencing ideas logically and using appropriate facts and relevant, descriptive details to support main ideas or themes; speak clearly at an understandable pace. – Grade 6-SL-1. Engage effectively in a range of collaborative discussions with diverse partners on grade 6 topics, texts, and issues, building on others; ideas and expressing their own clearly. Writing Standards K-5 – Grade 5-W.5.8 Recall relevant information from experiences or gather relevant information from print and digital sources; summarize or paraphrase information in notes and finish work, and provide a list of sources.